Before Facebook and Twitter, we had online forums. These have some obvious advantages over social media, for example in the easily accessible archives. Nobody has to reinvent the wheel, information does not go lost. Back in 2005, several friends in Germany decided to start a forum about pre- and protohistory, archaeology and reconstruction. By now, it counts over 42,000 posts in over 4,800 threads. So far, everything is in German. The costs for the forum (hosting, domain) are covered by donations from the forum members. New archaeological discoveries are presented here, questions asked about reconstructions and living history, difficult to find literature can be found through this forum and current experimental archaeology programs, like in Ergersheim, are discussed. Early 2018, EXARC received the request to take the Archaeoforum under its umbrella because the owners were unable to carry this responsibility alone. EXARC is in this sense regarded as a neutral base. We can guarantee the management of the forum as long as forum members are still active. We are very grateful to those before us who kept the forum running for 12.5 years. Thankfully, several moderators stayed with us. We gladly accepted and did some cleaning: we included the new EU GDPR rules and removed many sleeping members. The forum is now ready to accept new members. 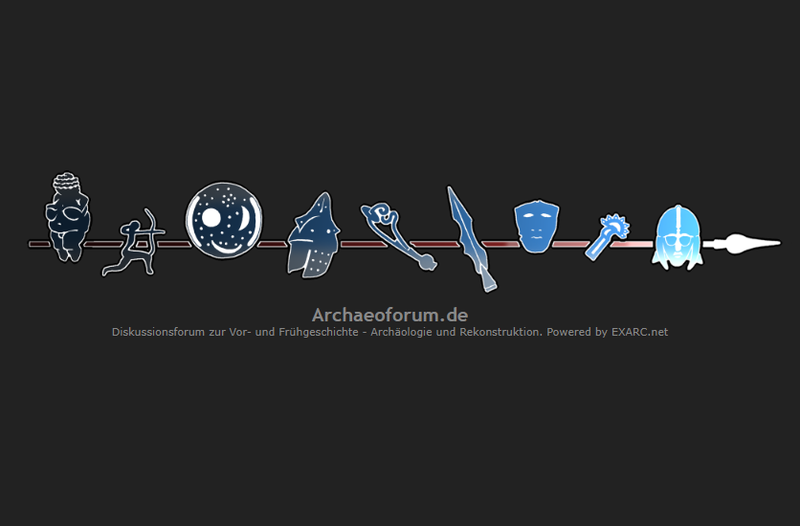 One does not need to be EXARC member to join Archäoforum.